This September, we were joined by a hearty crew of Inglorious Bustards for a rip-roaring (yet thoroughly laid-back!) 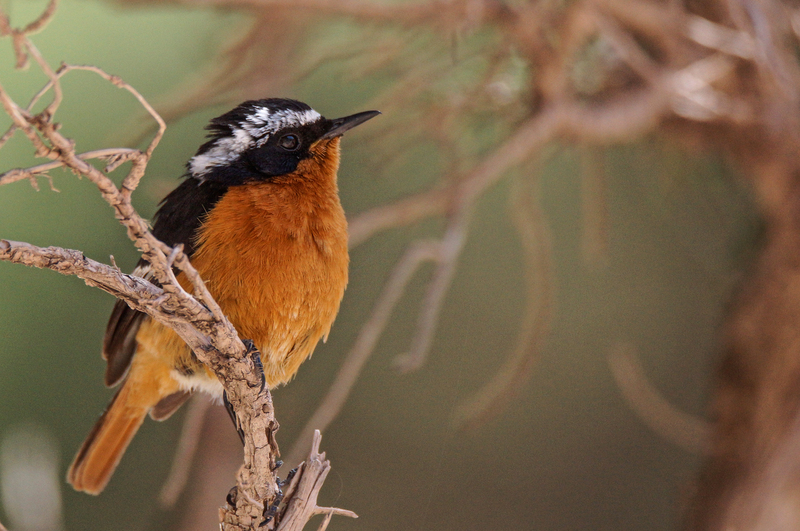 adventure, birding across Southern Spain and Northern Morocco! 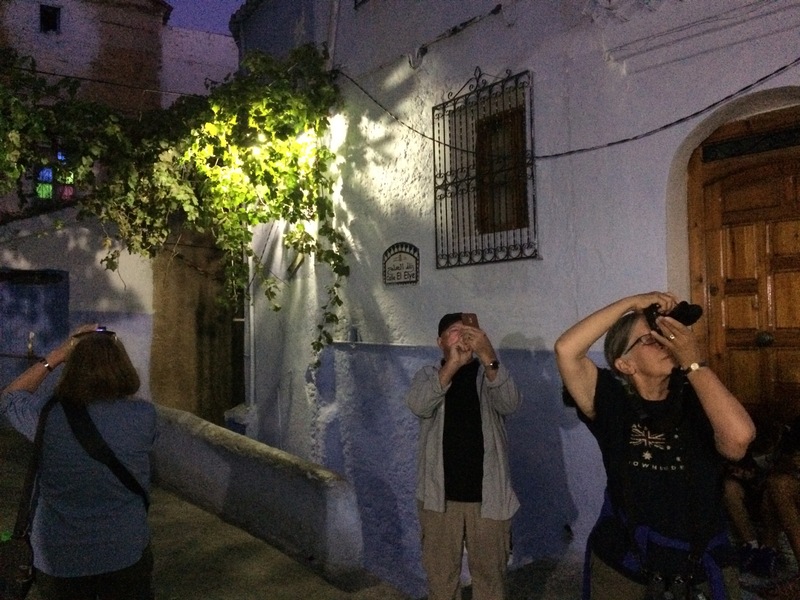 ﻿Our journey brought our group up close and personal with star species on both sides of the Straits of Gibraltar, including Moroccan Marsh Owl, Moussier’s Redstart, Bonelli’s Eagle, Audouin’s Gull, Red-necked Nightjar and much, much more. The Straits themselves formed the centrepiece of the trip, and the group found themselves in the thick of the autumn migration, with hundreds upon hundreds of raptors and soaring birds moving south alongside many thousands of hirundines and Swifts. 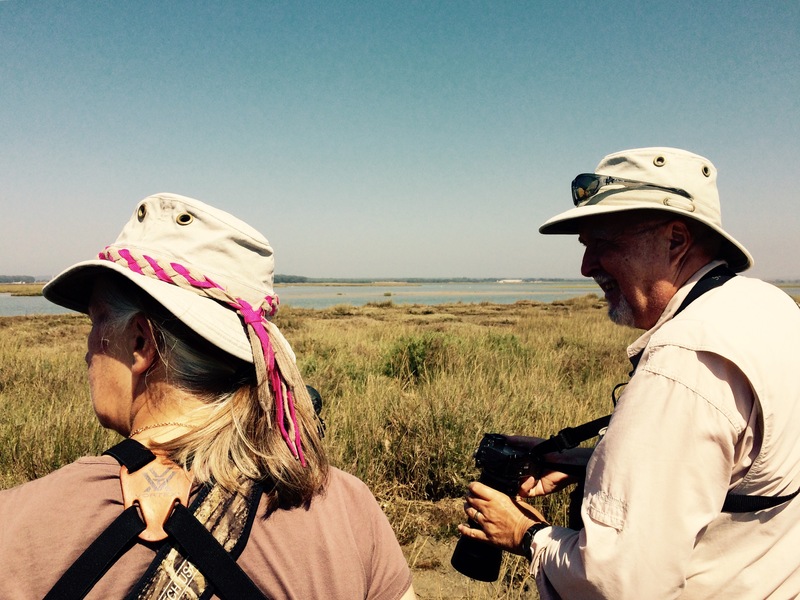 Within hours of arriving, the group were thrilled to have our first encounters with Honey Buzzards, Black Kites and Booted and Short-toed Eagles, soaring low over our heads, as well as a solitary Black Stork and an Egyptian Vulture, as we took in the stunning views out across Tarifa Bay. We also found ourselves right in the middle of a river of Alpine, Common and Pallid Swifts as well as Barn and Red-rumped Swallows whizzing right past our ears! Exploring local mountain habitat, we drove up through a maquis-covered landscape of Fan Palm and Cistus to a dramatic rocky outcrop, to a spot next to a colony of some seventy pairs of Griffon Vultures. 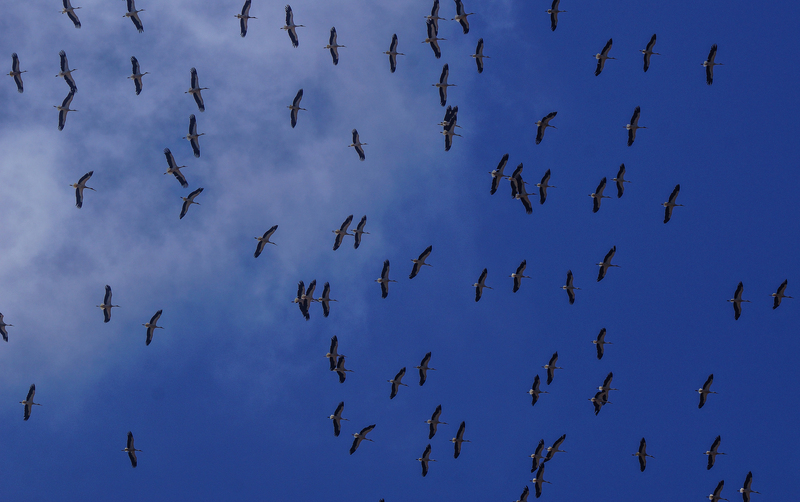 These enormous birds delighted the group by soaring low over our heads and screeching from their perches like prehistoric beasts. As we enjoyed the thrilling views, many Honey Buzzards, Black Kites, Booted Eagles and Short-toed Eagles drifted overhead, and we were lucky enough to get great views of two Bonelli´s Eagles, and two Egyptian Vultures. We wiled away a pleasant time bird-watching at the rice paddies and pastures of La Janda, marvelling at the numbers of Montagu´s and Marsh Harriers and Lesser Kestrels, and enjoying Eurasian Spoonbills, Greater Flamingoes, White Storks, Glossy Ibis, Cattle and Little Egrets, interspersed with Black-winged Stilts, Common Snipe, Green Sandpipers, as well as Little Ringed Plovers, Northern Lapwings and Ruff. The farmland had another treat in store for the group! Taking a track up to the higher part of the farm, we stopped alongside a strip of willow and poplar scrub, and began to quietly scan the leaf litter with our optics. 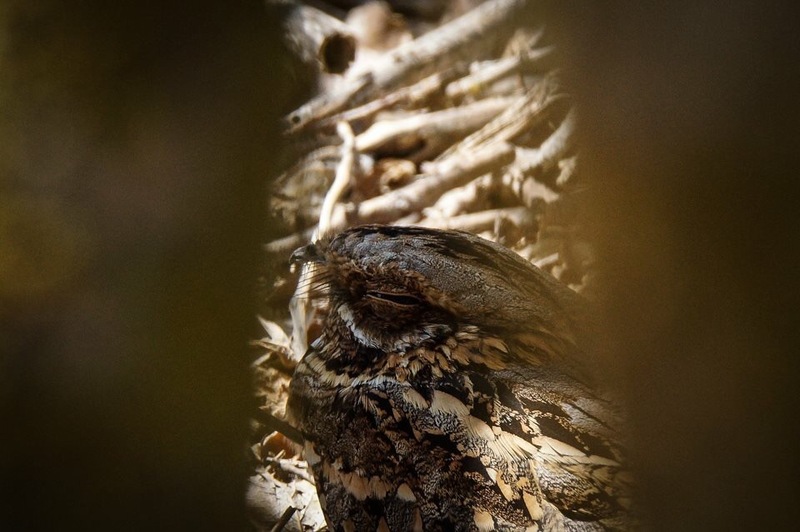 There, gulating gently amongst the dried leaves and twigs, completely still apart from the twitch of its rictal bristles, was a Red-necked Nightjar, just feet away from us! Taking great care not to disturb this exquisite bird we took our time to enjoy the beautiful pattern details of its gold-and-brown plumage. 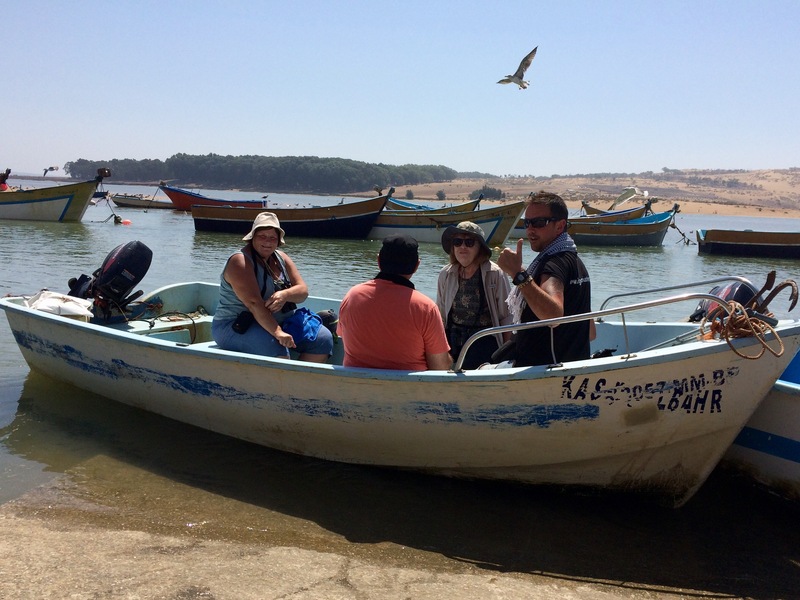 Birding in Morocco, we explored the famous Merja Zerga lagoon – known as the haunt of the planet´s last Slender-billed Curlews – by boat, with local legend Hassan. The lagoon is a teeming protected wetland, alive with birds – and local traditional fishermen – probing the mud for crustaceans and molluscs. We soon spotted Mediterranean, Slender-billed and Audouin´s Gulls amongst the Yellow-legged, Lesser Black-backed and Black-headed Gulls. The numbers of waders were huge, with Oystercatchers, Black-winged Stilt, Common Ringed and Grey Plover, Sanderling, Dunlin, Bar-tailed Godwit, Whimbrel, Eurasian Curlew, Common Redshank, Common Greenshank, Green and Common Sandpiper, Ruddy Turnstone all around us. 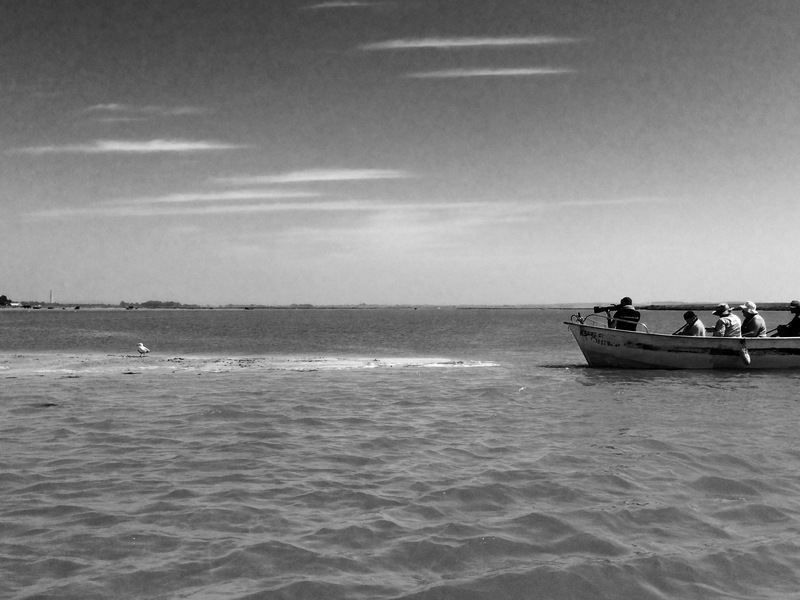 Mooring the boat, Hassan ushered us out onto a sandbank in the middle of the lagoon! From here, as well as enjoying our surreal birding location, we also added Glossy Ibis, Greater Flamingoes, Kentish Plover and Black Terns to our list, as well as picking up a Western Osprey. And later that afternoon, just as we hoped, our star species appeared, with not one, but EIGHT stunning Moroccan Marsh Owls taking flight from their roost in local grazing marshes. The group were spellbound by these beautiful, dark-eyed birds. 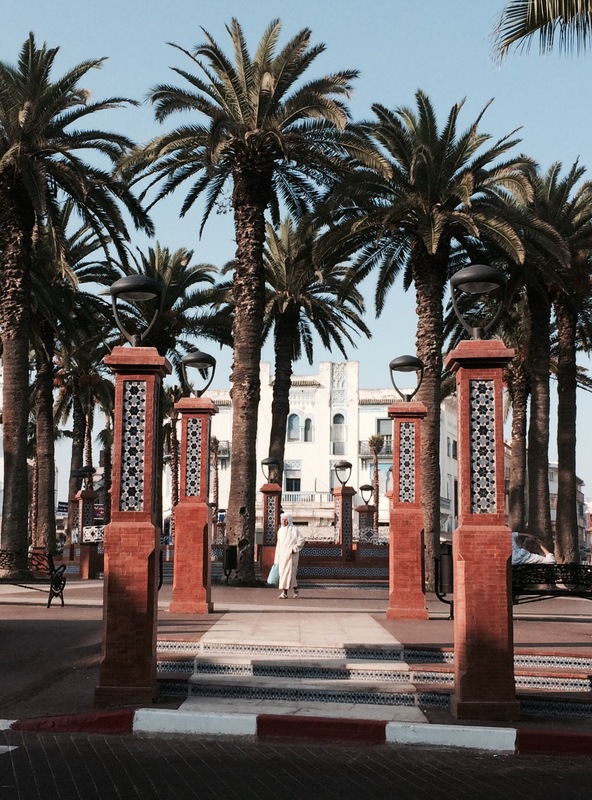 We breakfasted the next day under a ´giggling´ colony of Little Swifts, under the newly-restored colonnades of Larache´s main square, before birding the Loukkos marshes, just a short drive out of town. These grazed damp pastures are a real oasis for all manner of birds, from waders to raptors, and can be easily birded either from the minibus or by walking short distances along farm tracks. We soon picked up Brown-throated Martins amongst the Barn Swallows and Sand Martins. As we explored the shallower pools we found waders galore, including Black-winged Stilts, Collared Pratincole, Little Ringed Plover, Dunlin, Ruff, Common Snipe, Black-tailed Godwit, Common Greenshank, Green, Wood and Common Sandpipers. In the deeper waters waded elegant Squacco Herons and many Glossy Ibis, alongside dabbling Ruddy Shelducks and Red-crested Pochards. 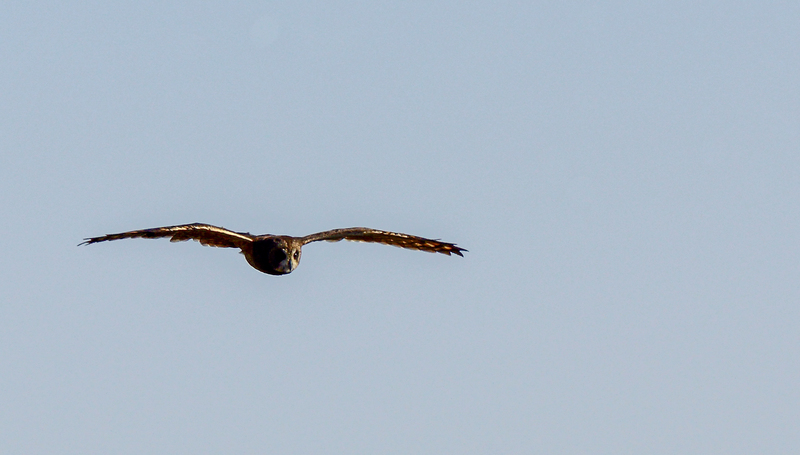 Overhead, over twenty Marsh Harriers quartered the wetlands. 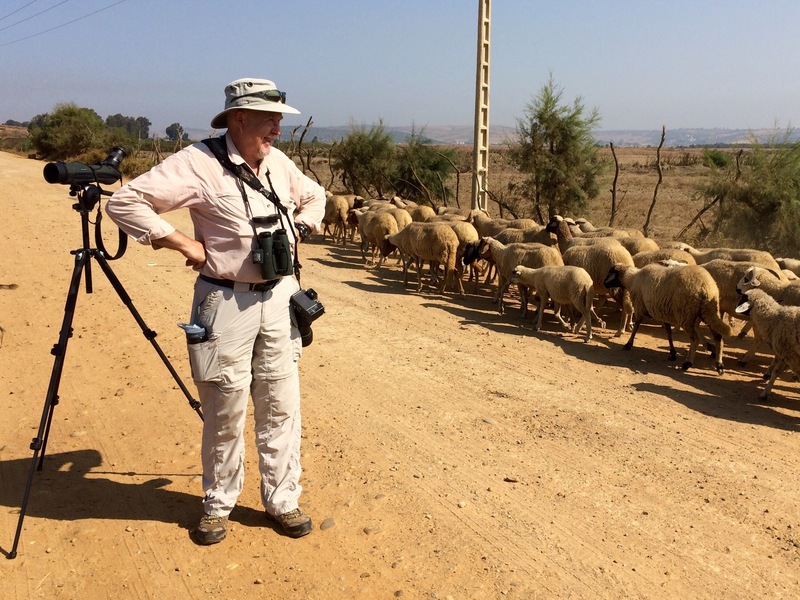 These beautiful wetlands are home to many traditional farmers, and while we birded the group enjoyed a bit of friendly banter with the locals, as well as finding ourselves amidst a flock of curious sheep! After lunch in a rural village, where the delighted chef rustled up us up a banquet of deep-fried sardines, lentil dahl, tomato and cucumber salad, white beans in tomato sauce, and flatbread from seemingly nowhere, we headed up into the mystical forest of Bouachem. It wasn´t long before we caught a glimpse through the undergrowth of a Barbary Macaque! He was of course one of a troupe, and we watched spellbound as over forty of these sociable, intelligent creatures filed peacefully past us, foraging for insects, nuts and roots on the forest floor. 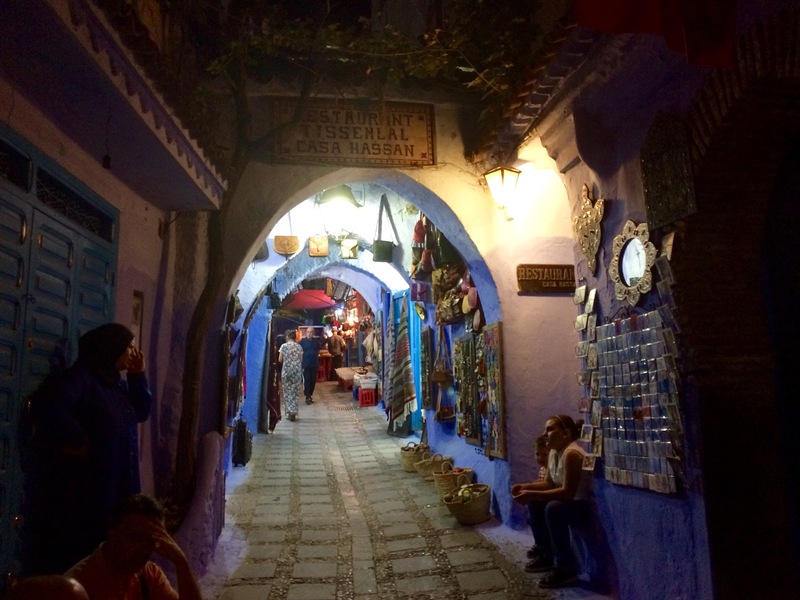 Along the steep mountain tracks of the Talessamtane Natural park in our convoy of 4×4 vehicles, we had stunning views down over the Oued Laou valley, and the charming blue-painted city of Chefchouen. It didn’t take too long before we started coming across a fantastic array of mountain birds. Three marvellous Moussier’s Redstarts were flitting enthusiastically around the rock faces and were sometimes just metres away from our group! As we explored the slopes, they were joined by Black Wheatears, Rock Buntings, Crag Martins, Common Redstarts, and a Bonelli´s Eagle drifting in and out of the clouds. 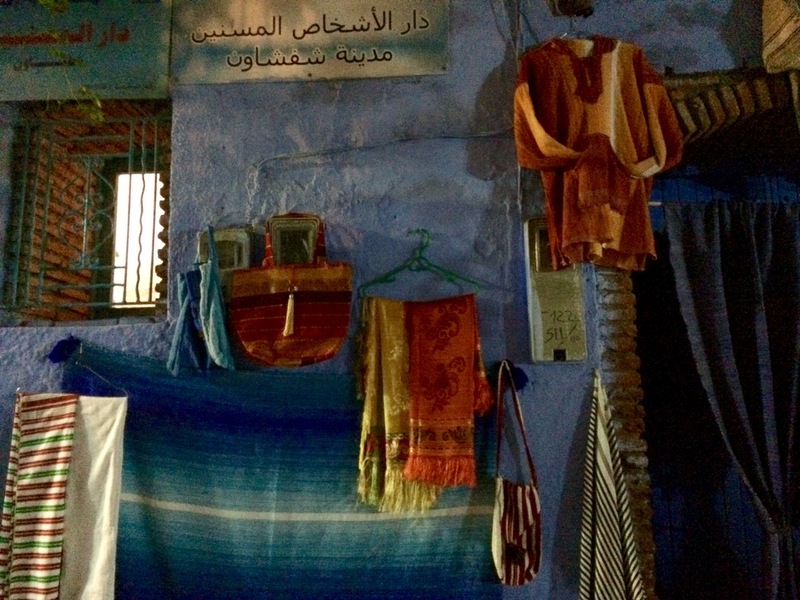 We took the afternoon to explore the picturesque labyrinthine streets of Chefchouen´s famous blue-washed medina, or old town, enjoying the assault on our senses from all the colourful wares and spicy smells. Bill, a surrealist artist, was thrilled by the colours and angles of the sloping mountain town and we are eagerly waiting to see it reflected in future works! 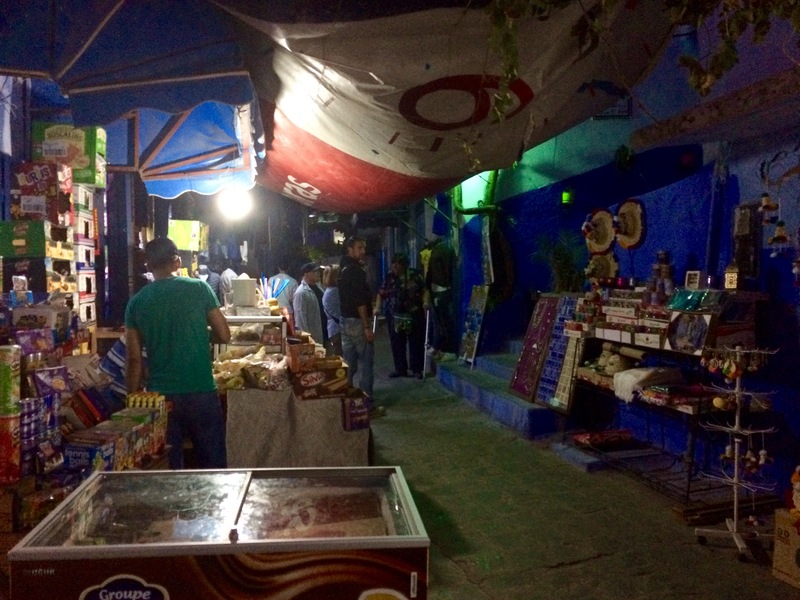 After experiencing the traditional Moroccan town, we were glad to experience its traditional food. 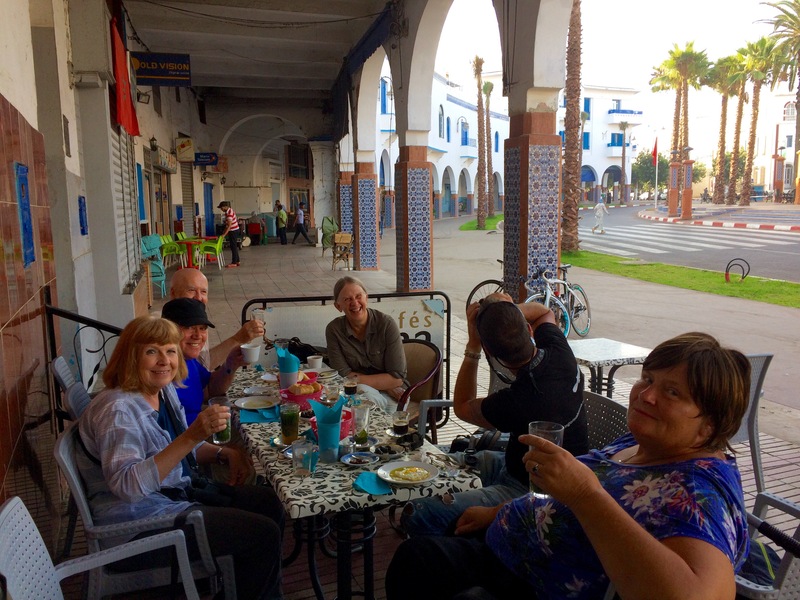 We headed to our favourite restaurant overlooking the main square, where we enjoyed excellent salads, soups, tagines and a dessert of yoghurt, nuts and local honey. Our hotel was wonderfully situated on the outskirts of Chefchouen and during a pre-breakfast stroll around the nearby riverside habitat we encountered very confiding subpersonata White Wagtails and a Desert Grey Shrike. We also found two Golden Orioles warming up in the morning sun, two Black-crowned Night Herons, an Atlas Long-legged Buzzard, a probable Barbary Falcon, and a swarm of Barn Swallows and House Martins too numerous to count. Having explored wildlife on both sides of the Straits, we headed out onto the waters themselves, on a boat trip with responsible whale-watching company Turmares. Over the seas we had great views of dozens of Cory´s Shearwaters, Northern Gannets, Great Skua, Audouin´s Gulls, and maybe twenty bizarre, dustbin lid-shaped Ocean Sunfish. 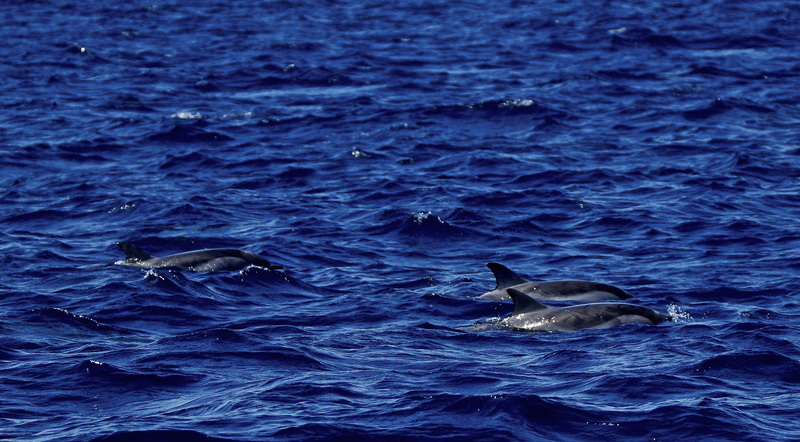 Striped Dolphins too were extremely active and we saw a hundred or more scudding through the sea. But the stars of the show were the Long-finned Pilot Whales, which decided to offer us breath-taking close-up views! Finding several combined family groups numbering over fifteen individuals, we simply floated quietly for over an hour, while they swam curiously around the boat and often surfaced right alongside! It was a long and extremely moving encounter with these alluring creatures. 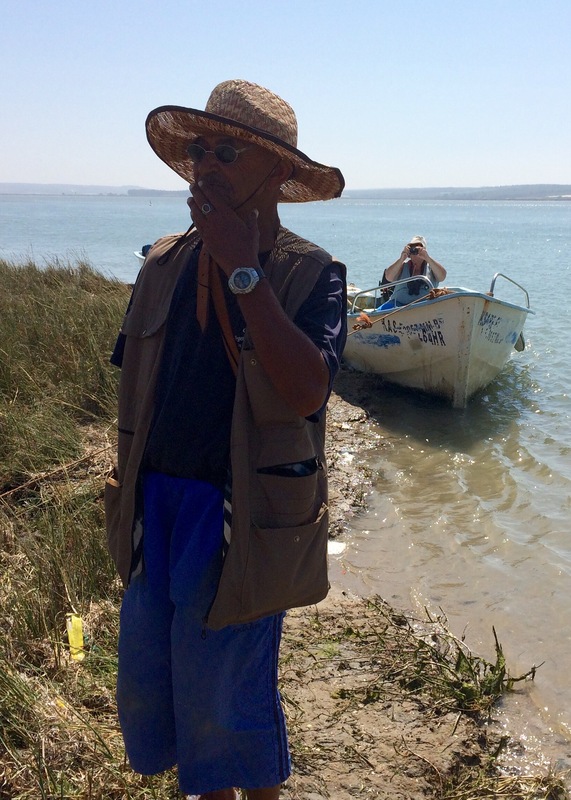 Overall, our exploration of salt pans, lagoons, intertidal habitat, cork oak forests, mountains, plains and freshwater wetland habitat on two continents brought us encounters with over 140 bird species and a fascinating selection of African and European mammals, reptiles, amphibians, butterflies, moths and dragonflies. 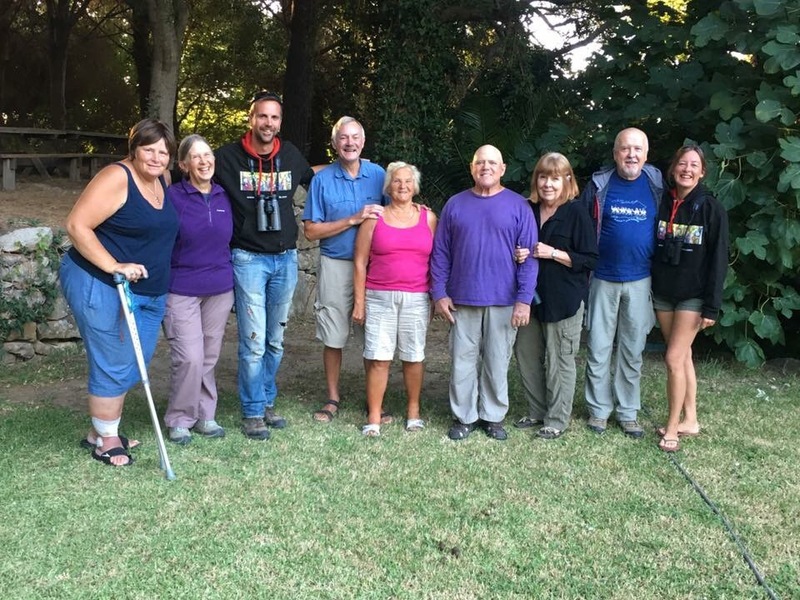 As well as being treated to some spectacular migration and cetacean events, the group enjoyed relaxed days in perfect weather, taking in all the gorgeous wildlife, scenery, culture and cuisine Southern Andalusia and Northern Morocco have to offer. We really enjoyed welcoming our hearty crew – Lynne, Peter, Margaret, Sue, Bill, Tony and Wendy – to our home in The Straits, – you were great company on this intercontinental birding adventure and we hope to see you again here soon! 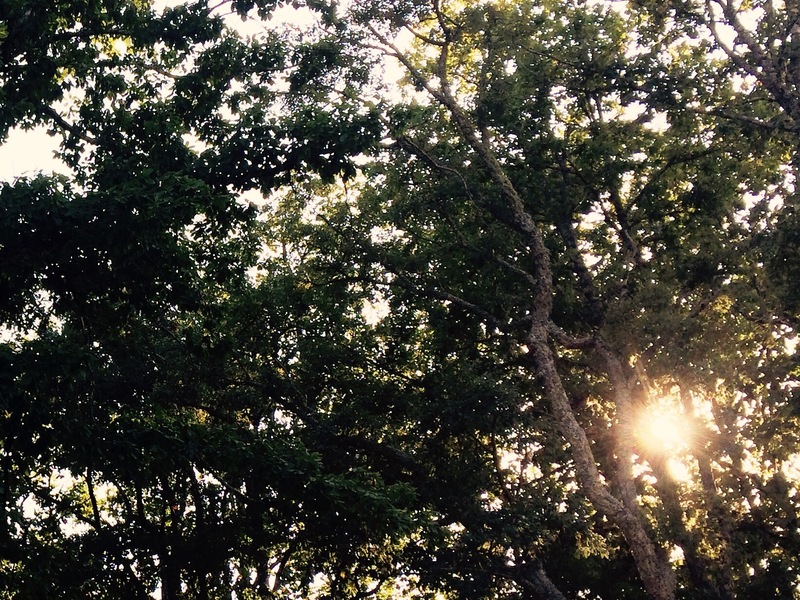 Does this sounds like your kind of derring-do?! Our Birding Two Continents trip is running again in 2018 – contact us for more info, or download our brochure! Click here to download the full 2017 Trip Report. 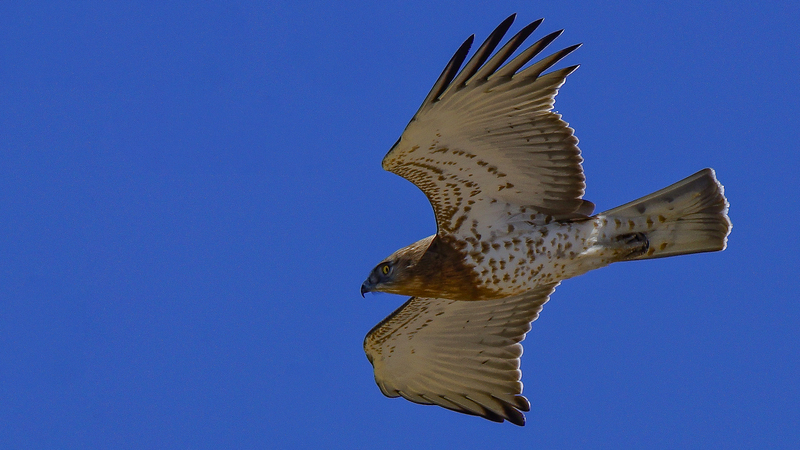 Mountain Birding and Vulture Culture in Ronda and the Straits! It was a brilliant trip – thanks once again Niki and Simon.